Hospice care workers are some of the most amazing people you’ll ever encounter. Not only do they care for people in their final days, they also care for the patient’s families. All forms of Medicare fraud result in theft of taxpayer’s money and endanger the health of beneficiaries, but there’s something particularly insidious about hospice fraud. Our Medicare fraud attorney is honored to work with private individuals who observe these wrongs and step forward to help stop them. Last week, the FBI posted a report dealing with a case of hospice care fraud in Oklahoma (note: all assertions in this post regarding the case are per the FBI’s report). P.K. owned a hospice center and, together with certain colleagues, submitted fraudulent claims to Medicare totaling in the millions of dollars. From June 2010 to July 2013, the conspirators did not comply with the rules and regulations governing Medicare-eligible hospice centers. They actively concealed the actual health status of patients and falsely reported the treatment provided, including claiming nurse visits that never actually occurred and altering files to make patients appear sicker than they actually were. While hospice is intended for the terminally ill, specifically patients with a life expectancy of six months or less, many patients remained at the center for five to seven years. When an audit was performed to review services in the state, P.K. provided falsified documents to those conducting the audit. The FBI reports that P.K. kept a substantial portion of the payments Medicare made to the center and used business accounts to fund her personal lifestyle. After a trial, she was ordered to make $2.5 million in restitution and also owes $5.4 million to cover Medicare overpayments. She has also been sentenced to a term in federal prison. The SMP resource paper explains that hospice fraud occurs in a number of different settings including private homes, hospital and nursing home hospice centers, and stand-alone hospice facilities. Common forms of hospice fraud noted in the report include: Referral payments (e.g., kickbacks to physicians and nursing homes); Bills reflecting a higher level of care than that provided; Cases lacking needed physician certifications; Falsified eligibility and certification documents; Improper marketing to ineligible Medicare members; and, quite simply, Failure to provide adequate or complete services. 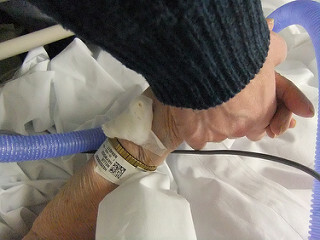 Hospice care should be a caring service that helps patients and families deal with some of the toughest days imaginable. Fraud in this arena should not be tolerated. If you believe you’ve witnessed this or other forms of Medicare fraud, please call our hospice care fraud law firm at (800)-427-7020. Help us fight fraud that steals from this important program.